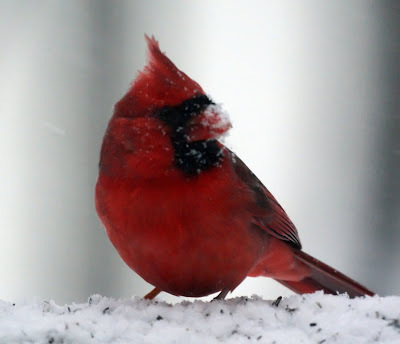 The latest snow storm seems particularly difficult for the birds. 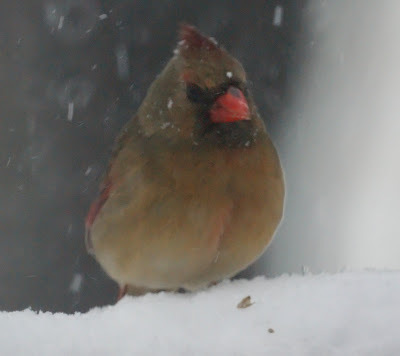 We've had many more at the feeders. The cardinals that are usually too skittish to come to our deck for food joined the finches and the juncos for some nyjer seed.